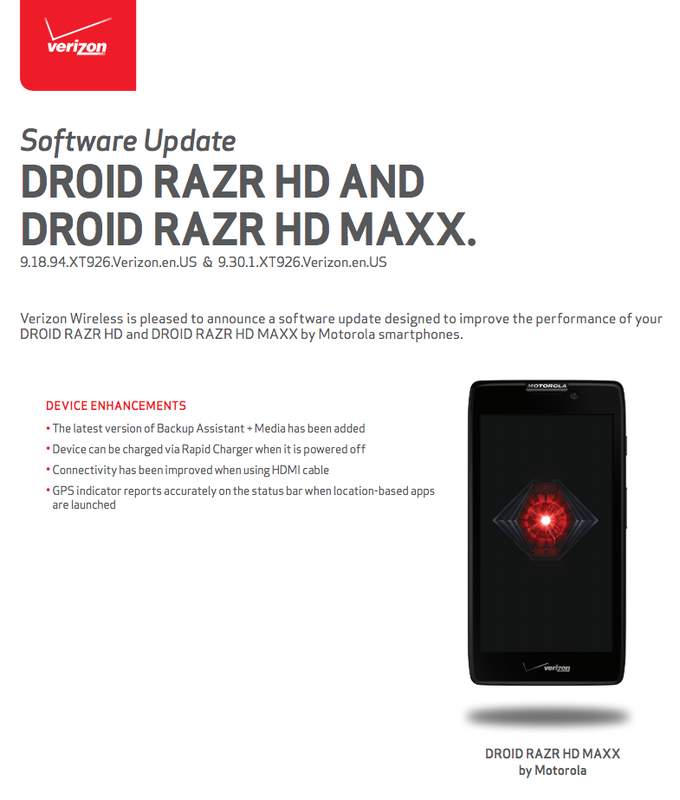 Shortly after Verizon released the support docs for a new DROID MAXX and ULTRA update, they also posted up documents detailing a new DROID RAZR HD and RAZR MAXX HD update. The update is not on the same level as the camera-improving update for the MAXX and ULTRA, but since the phone is a year old, we’re happy to see it still receiving support. In the update, Verizon and Motorola have updated Backup Assistant to the latest version, made Rapid Charging a thing when the device is powered off, improved HDMI connectivity, and fixed a finicky GPS indicator. Again, nothing major, but an update nonetheless. Be on the lookout for the update over the next few days.